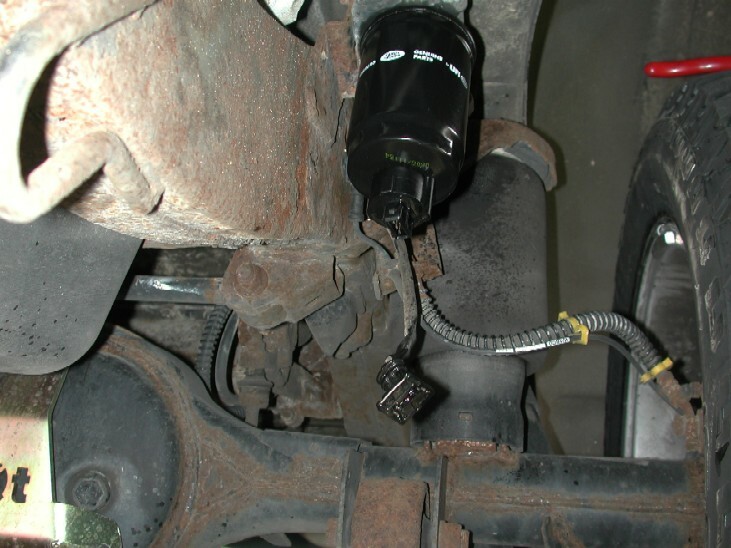 The Fuel filter on the TD5 Disco is located by the rear right hand wheel under the arch, its probably not the most " ideal" location as far as off roading goes, but it does make it easy to get to to change it. 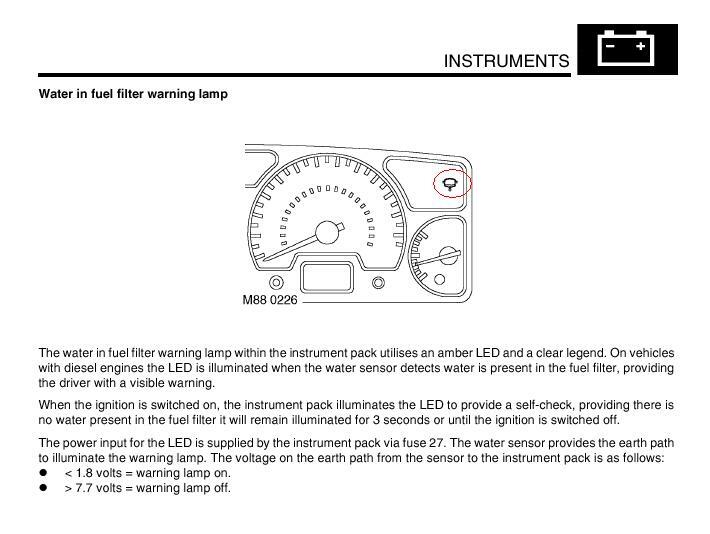 The Fuel Filter also incorporates a water sensor to warn the driver if there is to much water in the fuel by illuminating a light on the dash. 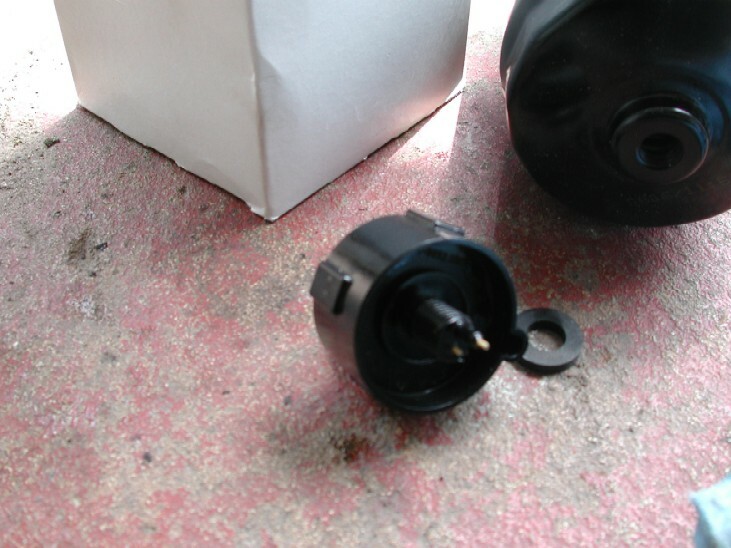 Due to my little ventures off road, the water sensor plug was a bit dirty, so I took the opportunity to give it a good clean out with some WD40. Next just unscrew the filter from its housing, you will get some fuel spillage, so its a good idea to have a bowl or some sort of container underneath to catch the fuel. The filter will still be full of fuel even after the initial spillage, so be careful not to turn it upside down or drop it etc. Now you have it out, you have to unscrew the water sensor from the bottom of the filter itself, be careful when doing this, its only made of plastic and they have been know to break off. Again I used genuine parts for replacements, the new filter comes with a new "o" ring that fits onto the top of the water sensor, also ensure the new filter itself has an "o" ring in the top of it. Fit the new seal to the water sensor and screw it into the bottom of the new filter, but only hand tight, do not over tighten it as it will shear off!! 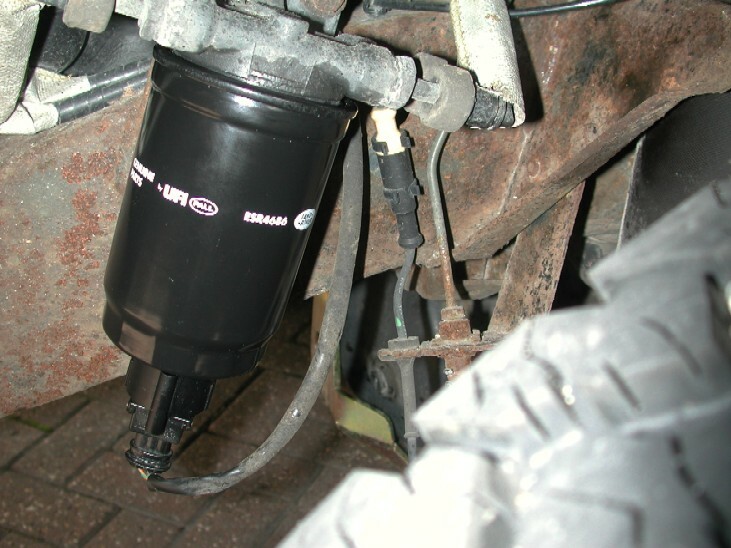 NOTE :- The filter should only be fitted with "1" seal at the top onto the fuel filter housing, it is not uncommon to have a seal stuck on the filter housing when the filter is removed either from the one you have just removed or from a previous filter change, so check and make sure there is only 1 seal as 2 can often cause the filter to leak. Next, because any diesel will not run with air in its fuel system, and we have "opened" up the system, its best to fill the new filter with some fresh clean fuel before screwing it back into place, this will help the "bleeding" process much better and get the air out of the system quicker. Again this is only hand tight !!!. Once the new filter is in place, reconnect the water sensor multi plug and that's all done. Now we have to get the car to run again by getting all the air out of the fuel system. There is an "official" bleed procedure in the manual which I will include below, but I will tell you what I had to do to get it to run. 1. Switch on the car ignition and leave it for at least 1 min, you will hear the air in the system when the fuel pump is running. 2. Turn of the ignition again and wait for 30 secs. 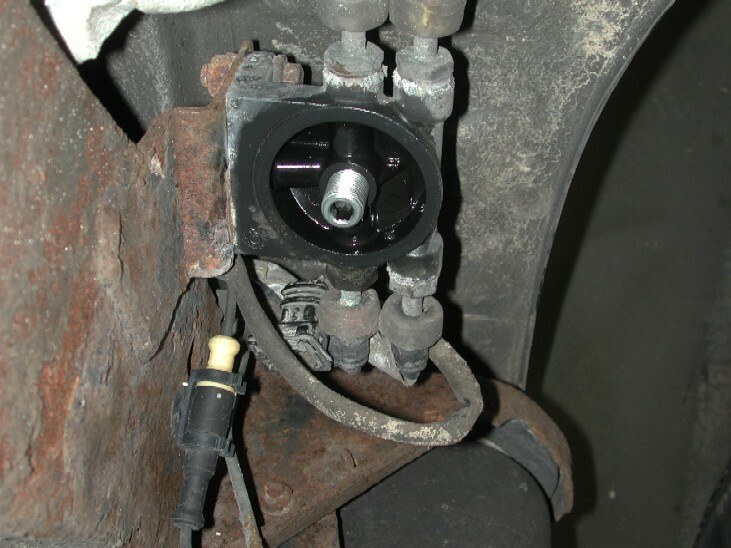 4. leave the car running for a few minutes and check for leaks. NOTE, DO NOT "CRANK" THE ENGINE FOR MORE THAN 30 SECONDS AT ANY ONE TIME. If the car fails to start, then either repeat what I did, or follow the full procedure below. 3. Fully depress the throttle pedal.